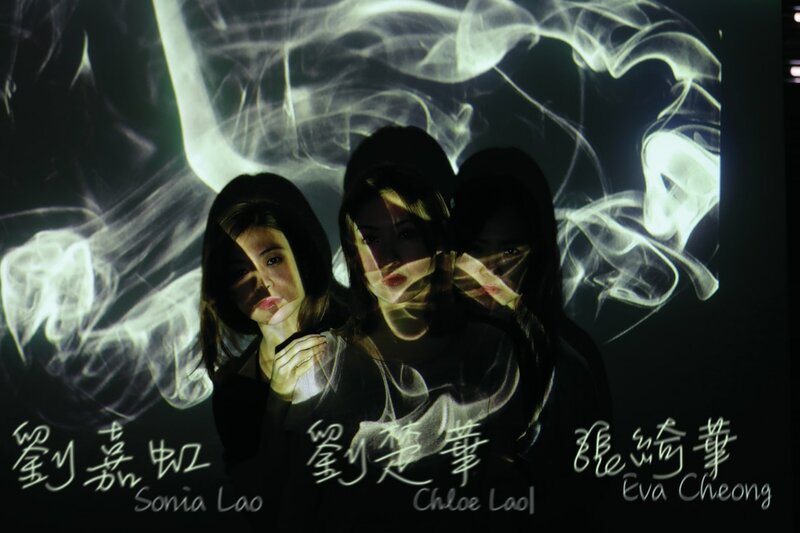 Chloe, Sonia and Eva explore physical aesthetics and artificial material through the complementary, clash, stimulation and alienation of ‘text-body-media’ . This process-oriented work tries to scout a new body related language. Chloe, choreographer and independent producer of dance performances in various genres, artistic director of Concept Pulse Studio, curator of Rollout Dance Film Festival, and creative producer of Heritage Stroll with Poetry Series. She graduated from The Chinese University of Hong Kong, major in Master of Arts in Cultural Management. Chloe has recently performed in Songs of Migrants and Double Bill by Hiroaki Umeda in the 28th Macao Arts Festival. She has recently choreographed dance theatre “Wander Girls on Tour”, “Whispers in the Dreams”, and a dance video “Wander-Land”. She has presented dance theatre MOP in Macao Arts Festival 2014, and the 19th International Contemporary Dance Conference & Performance Festival in Poland. Since 2009, had her touring performances as a dancer for an Ink – Water – Movement – Theatre ‘Playing Landscape’ to Beijing, Seoul, Edinburgh Fringe, Portugal, and Cape Verde, etc. Specialising in modern dance and choreography, Sonia was a former student of The Macau Academy of Performing Arts Dance School in Modern Dance Three-year Course and Advanced Contact Improvisation Course. She is also keen on performing which includes musical, environment theater and other forms of performances and creation. 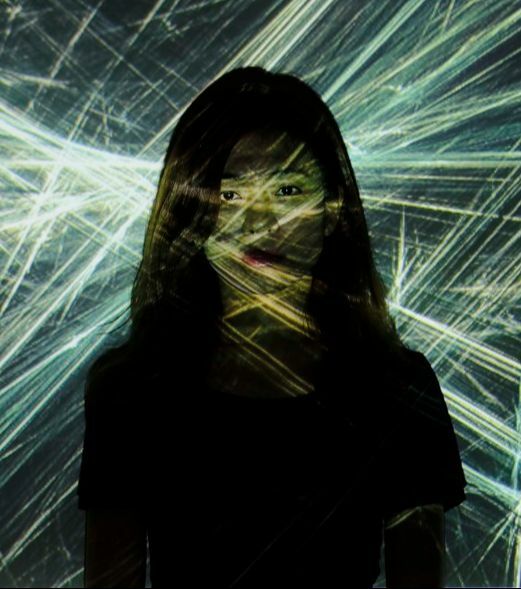 In 2014, she participated in the UNITYGATE culture exchange platform as a dancer in Portugal, and was also invited by the Guangdong Dance Festival for a solo dance performance Delusion. Besides, she has done a few different special performances in Hong Kong and shanghai. Apart from above, Sonia has taken part in diverse local shows as a dancer, which including Double Bill by Hiroaki Umeda that was performed at the Macao Arts Festival 2017, Refection that was part of the Macao Arts Festival 2015, as well as the dance theatre Wander Girls On Tour. Her recent works include the dance theatre Artificial Roses, the solo dance Delusion and the monodrama Black Box. Calvin is a theatre artist, mainly responsible for being the stage manager, lighting design and assistance. He has collaborated lighting design projects with Horizon Macau, Dirks Theatre Arts Association, Hiu Kok Theatre, Point View Art Association, The Dancer Studio Macao, Violet Dance Association, Stella and Artists, Ieng Chi Dance Association, Four Dimension Spatial, Macao City Fringe Festival, and many more.He is also the stage manager for Playing Landscape 2012~2013 (Point View Art Association), A Town with False Reputation (Hiu Kok Theatre), and A Doomed Bug (Hiu Kok Theatre at 10th Chinese Drama Festival), The Clean House (Dream Theatre Association) and others. (Horizon Macau), The Elevator Key, Brave New World, Cloning Ecstasy (Dirks Theatre Arts Association), (Hiu Kok Theatre), (Point View Art Association), (The Dancer Studio Macao), (Violet Dance Association), (Macao City Fringe Festival), Revival (Stella and Artists), Wander Girls on Tour, (Ieng Chi Dance Association), Pointe e Pointe, Exhaust, Borrowing Our Bodies (Four Dimension Spatial) and many more.Stage manager work include Playing Landscape 2012~2013 (Point View Art Association), (Hiu Kok Theatre), The 10th Chinese Drama Festival, The Clean House (Dream Theatre Association) and others. 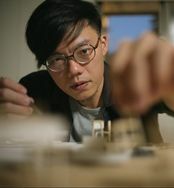 Chih-hua, a Taiwan artist, who’s interest falls on visual studies; his work is a hybrid of movement and still images lingering between the reality and virtuality. Enlightened in documentary, his early work focuses single channel videos with an urban perspective, which later on transforms into turning real scene into modal creation. His recent work extends into the linkage between body and space. It brings him into closer connection to dance videos, in which he attempts to bond voice and dancers in developing a new phrase of creation. His footprints span over Hong Kong, Macao and Italy where he cooperates with young dancers, involves in the production of dance movies. It is his interest to work closely and extensively with performers and artists in Asia, and to explore the diversity of sound, video and dancing, so as to cultivate a new horizon of dance video in Asia. Il cimento dell'armonia e dell’inventione is written by Antonio Vivaldi in 1725. 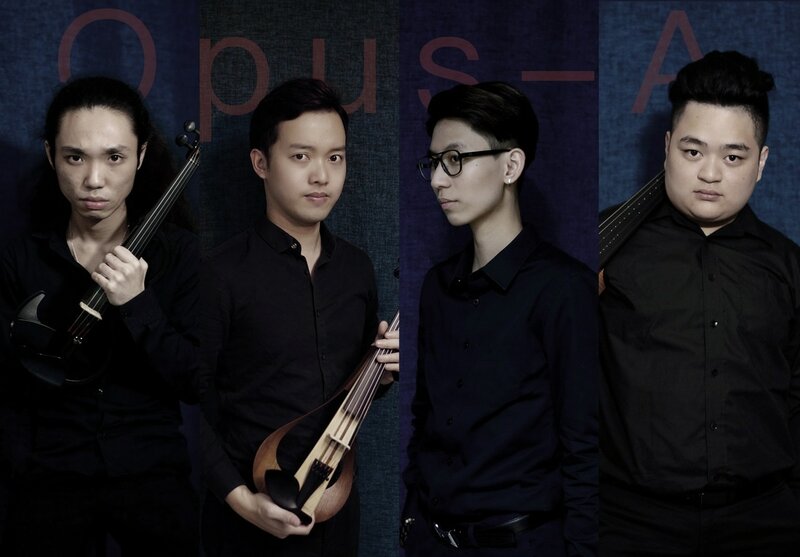 Opus-A is founded in Macau, 2015. It comprises four classical music trained local musicians: M.B. Chan, Nate Chu, Rain Chan and Kay Chan. With no doubt that classic music nurtures us, yet it also undeniably limits us at the same time I remember when I was a child, I asked my teacher: ‘why do I have to play this piece this way only but no other ways?’ The answer always was:’ because it is Beethoven. We must play as the same style as the time when he wrote’. I asked again:’but I don’t have the same feelings as what I am told to have. Why can’t I express my true feelings towards this piece in my own way?’ Then my teacher asked me:’ do you want to get in the first class music school? Do you want to win the first prize in competition? Do you want to work in the world class orchestra someday? Look, this expression method is the most recommended by Gramophone, the well-known classic music magazine in the UK.’ Therefore, my real emotion response to music was defeated by an authority publication. After graduating from university, I started working as a performer and a teacher. The change of my identity makes me rethink this issue. It is painful to reflect, introspect and amend myself. Fortunately, I have a like-minded team around to discuss with. Interpreting classic music pieces in traditional methods undoubtedly is a way of masterpiece reproduction. However, it should not be the only respected way. In this performance, we want to give it a shot, to tell our stories with classic music, in our own ways. M.B. 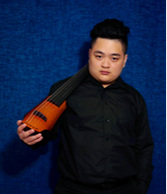 Chan, Macau violinist, is the winner of the 26th Macau Young Musicians Competition. Chan graduated from Melbourne Conservatorium of Music, The University of Melbourne in 2014. Along with few other young string musicians, he founded a string orchestra, OPUS-A, in Macau and takes the first violin. He also dedicates to music teaching. In 2017, he founds Macau Electric Strings Association and serves as chairman to promote the modern string music. Rain Chan, Macau violinist and violist, is active in all kinds of music performances as chamber music, pop music recording, musical and concerts. She is one of the founding members of OPUS-A and serves as violinist and violist. Chan is the board director and founding member of Macau Electric Strings Association since 2017. Kay Chan, Macau cellist, graduated from Instituto Politécnico de Macau and majored in music education. Chan has Associated Board of the Royal Schools of Music (ABRSM) Cello Grade 8 certification. She played and toured with Macau Youth Symphony Orchestra. She is active in in all kinds of music performances as chamber music, pop music recording, musical and concerts. She is one of the founding members of OPUS-A and serves as cellist. 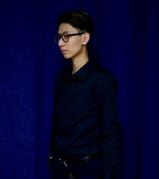 Lai-Keng Lam, Macau-born percussionist, graduated from Instituto Politécnico de Macau and majored in piano and percussion instruments. She played as percussionist in a local youth musicians’ concert in 2016. Man-Wai has been studied classic piano since 6 years old and passed piano grade 8 examination at age 16. She has played and won many singing and music instrument competitions. Lam has been teaching piano at Sheng Kung Hui Choi Kou School since studying in university. Writer and indie musician Sonia Ka Ian Lao recreates a ‘skin-gnawed’ world with music and experimental video. Chemtrails, Morellons is a stage piece adapted from her own novel of the same name. *Chemtrails: high-flying planes spray the chemicals which some people would have bad physical reaction towards and even cause sickness or disease. *Morgellons: is a skin condition in which individuals have sores that they believe contain some kind of fibers. The first time I heard about Chemtrail and Morgellons was from an online program in Hong Kong, MJ 13, in 2012. The cause of Morgellons remains unknown. Is it governmental conspiracy? Is it one of the human extinction plans? Is it the gimmick to control the medical revenue? Or is it a lie of climate manipulation? None of these questions can really be answered, not even those academics who study mystery conspiracy theories. Sadly, only the most powerful people at the top of hierachy would know the truth. ​Why, as we all at the same time and space, could only the few people have the right to know more? And the rest could always wonder? It seems that equality, fairness and justice are still distant with us. Which, always gets on my nerves. Therefore, I tell people what I know through my writings and music. I do believe that this is artist’s responsibility. Besides, literature and music can make those tedious information alive and accessible. I like what they say: ‘You don’t have to believe it but you should know it.’ There are all sorts of things in this world and some worrying issues derive from them as well. However, I have strong faith in people that when they have awareness and determine to solve them, our world would be a better place. That has been my hope at all time. I would like to thank Macau Experimental Theatre for this opportunity to write the script and score again for this stage performance. Production work is still new to me. I have learned so much from working with Mr. Johnny Tam again. In this production, we have also made video which will be played in theatre. This is my first filming experience. Leading by Macau new talent director Nancy Io and photographer Os Wei, we make many beautiful pictures full of stories and concept. In addition, the make-up artist Oli Chan delivers the special makeup this production needs distinctively. I am very honor to work with all the professionals in this team. Last, I would like to acknowledge the presenter of the online program and academics who helped me doing my research. They are: Mr. Godfree Chiu, Mr. Gary Kwan and Mr. Cheuk Fei. If you’re interested to know more, the links of their research and program are below. One of them is Mr. Godfree’s research about Chemtrails. The most important part of it is the effective way to treat Morgellons. I truly hope you would read and listen to that carefully. This is Mr. Godfree’s research about Chemtrail and the effective way to treat Morgellons. Please read and listen to that carefully. 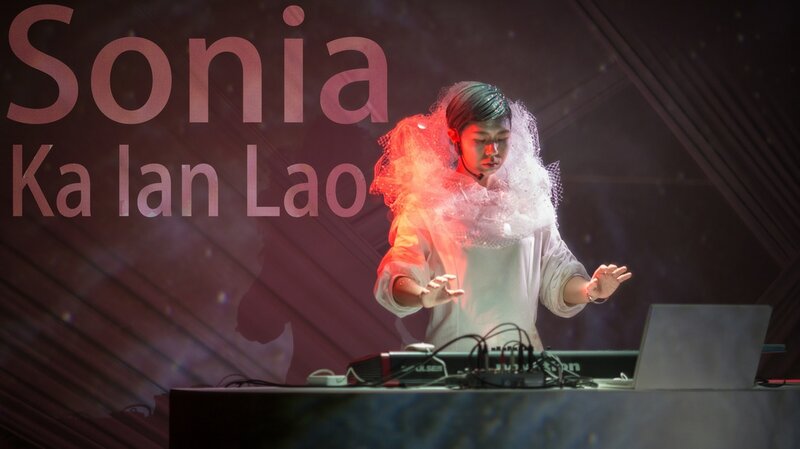 Lao is an indie music player, also the vocalist of Macau electronic music band Evade. She plays electronica, ambient and dream pop. Her first album Stars debuted in 2014 and the second album Nebulosity was released in 2017. Apart from music, Lao also shows her talent in literature. She won the first prize in the Macau Daily Times short novel contest in 2011; and won the merit award at the 11th Macau Literary Award in 2011. Io graduated from Instituto Politécnico de Macau and majored in graphic and multimedia design. She has been making feature short films since college and attending many film festival since 2012. The Kids Project won the jury award in Macau International Film and Video Festival 2016. Chan graduated from Department of Fashion Styling and Design Communication, Shih-Chien University, Taiwan. She has years experiences in styling and makeup. Chan’s curretly working at graphic design company. Styling and makeup is her second job. Her works varie from theatre, musicals, movies, TV commercials and music videos. Os Wei is the CEO of OSSO. He studied visual communication in Taiwan and returned to Macau in 2016. As a full time video artist, he hope to make some impack with visual images. Recent works: Sisterhood, Yesterday once more, Cook up Astrom.